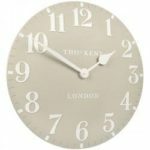 The 6 inch Lemonade Mantel Clock has a clean straightforward classic look and a stunning colour with raised white numerals and hands that make it easy to read. 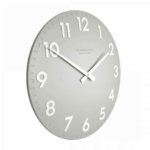 This simple but stylish design will stand out against any colour wall and look fabulous on a bedside table, shelf or mantelpiece. Thomas Kent has a full Range of modern mantel clocks. 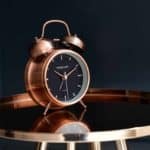 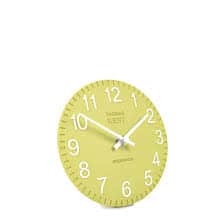 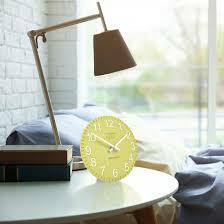 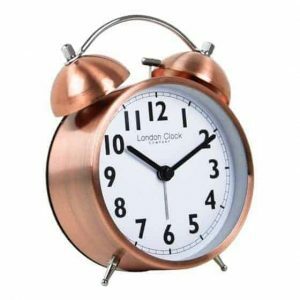 Thomas Kent Clocks have a refreshing take on what makes the world of home furnishing and gift clocks tick. The Collection has doubled in size to over 100 pieces, ranging from 4-inch mantel alarm clocks to the breath taking 36-inch wooden hand distressed Loft Clocks. 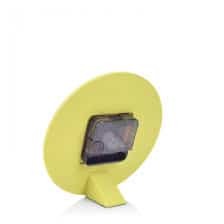 All of which come with 1 years guarantee and care instructions and are individually boxed and packaged.